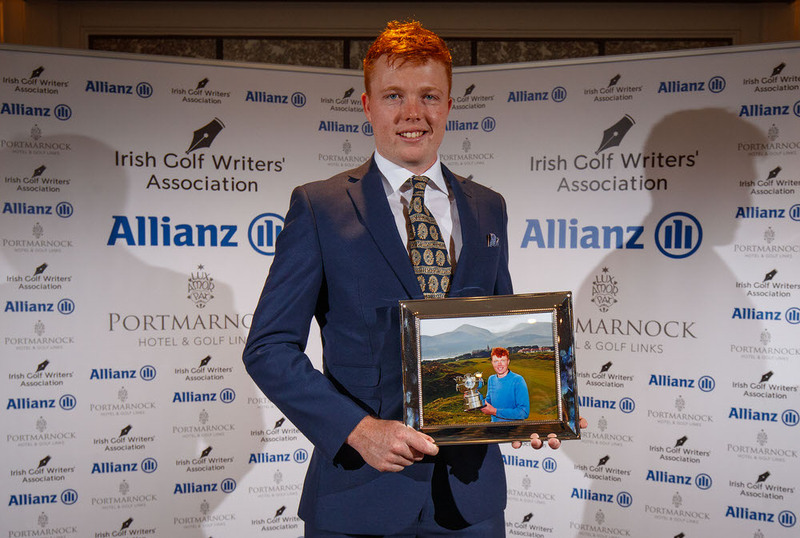 Stephanie Meadow’s fortitude and resilience in returning from serious injury to regain her full LPGA Tour card for next season has earned her the Professional Player of the Year Award for 2018 from the Irish Golf Writers’ Association, sponsored by Allianz. Meadow, 26, is the first woman to win the award since its inception in 1976. “I am so honoured and so humbled to have won the Professional Golfer of the Year,” Meadow said. 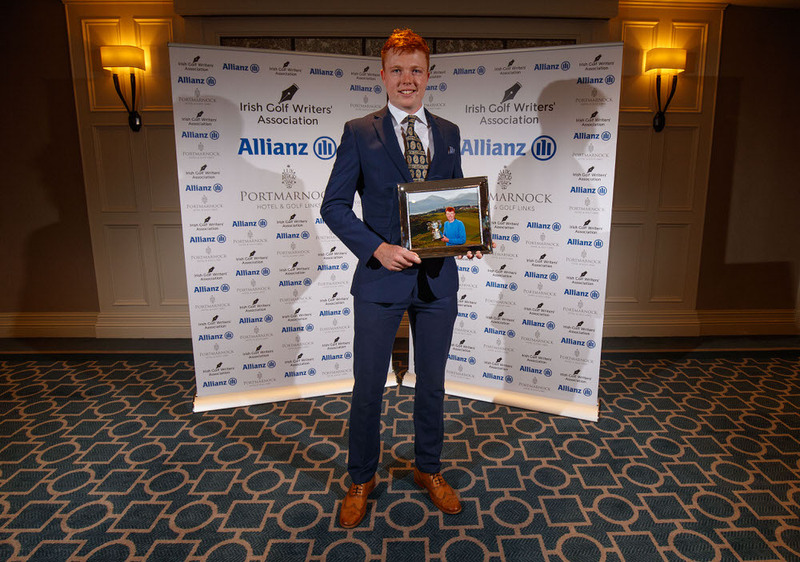 “I was knocked on my face a little bit last year and to come out and have such a great season and to top it off by being recognised as the Professional Golfer of the Year is truly remarkable. “I have a lot of people to thank, because it is not just me who got me here. To the ILGU. Girls golf has come a long way in the last 10 years and to win this award on behalf of them is unbelievable. Their training programmes have made me the golfer I am today. 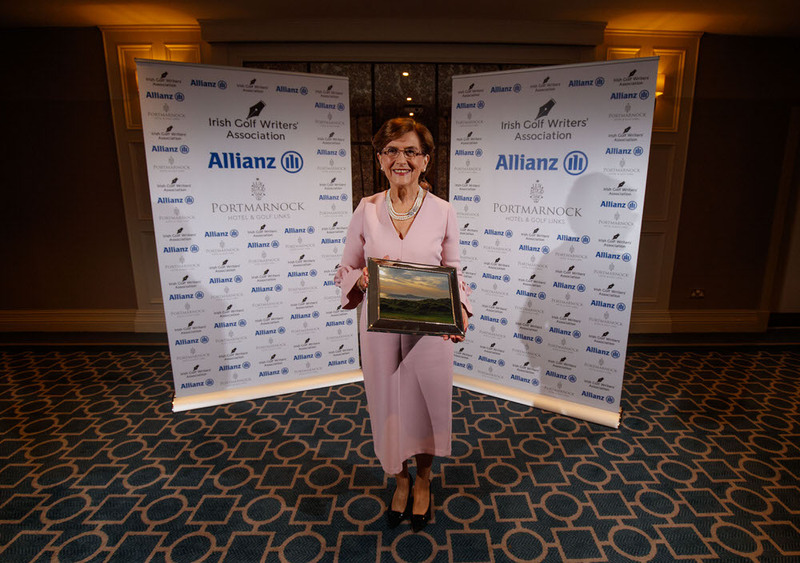 The Distinguished Services to Golf award was presented to Miriam Hand, who is the driving force behind the “Play in Pink” charitable initiative to raise funds in aid of Breast Cancer Research. The initiative has gone from strength to strength in recent years, raising more than €600,000 since 2011. In 2018 alone, in excess of €160,000 was raised at events throughout the country. Delgany’s Eamonn Darcy, who won the inaugural Professional of the Year Award in 1976, was also present at the dinner and presented with a special memento to mark his career achievements following his recent retirement from the competitive scene.